Hælos are a band that sounds like night. Not the early evening, or midnight for that matter—Hælos are what 3 a.m. sounds like: the time of night when the dreams come, but you’re still awake. It’s a time when bad decisions have already been made and dawn is hours away. Hælos give us songs that are full of mystery, magic, secrets and truths—things that are right in front of us and hidden at the same time. Hælos are made up of: Arthur Delaney (vocals), Dom Goldsmith (vocals/keys) and Lotti Benardout (vocals). These three artists combine to build an atmospheric dreamscape that is all backstreet, neon, London film noir with a little bit of late-night New York City, if it were written by William S. Burroughs during a heroin high. It’s Blade Runner for the love lost. The tone and theme of Full Circle, the band’s first full-length album with Matador Records, starts on the first track: “Intro/Spectrum.” It’s a speech by the late, great ‘60s philosopher Alan Watts on the nature of love. Watts states, “We know that from time to time, there arise among human beings people who seem to exude love as naturally as the sun gives out heat. These people, usually of enormous creative power, are the envy of us all, and, by and large, man’s religions are attempts to cultivate that same power in ordinary people.” Full Circle is an album about love—finding it, losing it, ignoring it and accepting it. 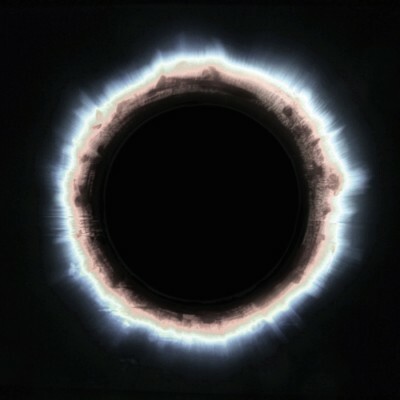 There are many songs on Full Circle that bleed out this theme: the catharsis of “Alone,” the sadness of “Separate Lives” and the beautifully perfect heartbreak of “Cloud Nine.” However, it is the song trilogy of “Pray,” “Dust” and “Earth Not Above” that brings this album full-circle. “Pray” unfolds slowly, with Benardout elegantly singing the haunting opening: “When you just can’t hold the highs / Like Sunday skies / And broken rhymes / Run out of love, lost our way / To pass the clouds / And rolling waves.” The song builds to a driving, cold synth line as Benardout sings: “Pray, don’t fall down” several times—pleading to hold on just a little longer. It’s dance pop for ghosts not yet dead. The beginning of the song “Dust” sounds like marching on gravel. We are perfectly in line with the step, step beat by the time Benardout enters the song. She has loved and is done, she has loved and given it away. “This love ain’t mine,” she repeats several times, after telling us “I can’t feel enough / To kill this wasted love.” She is numb. The song ‘Earth Not Above” tells us: “Shadows will guide us / Show us what’s true.” The truth that will bring us from the wasteland, back home—full circle.